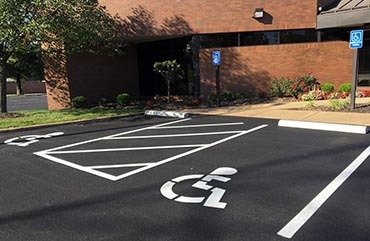 Ensure your parking lot meets ADA handicap compliance requirements. 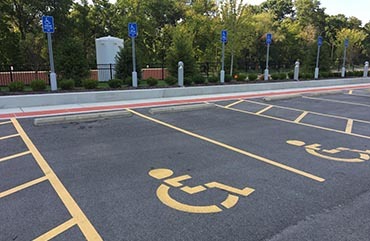 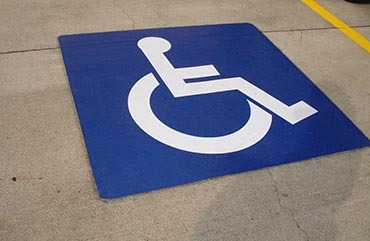 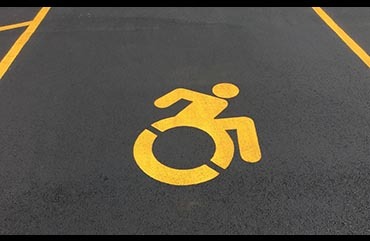 We can design and stencil your handicapped-accessible parking stalls. 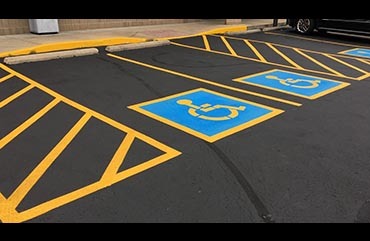 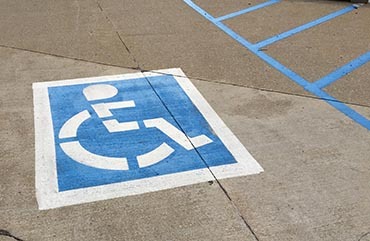 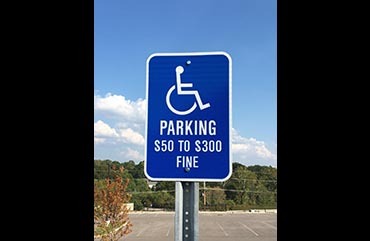 The number and type of handicap stalls required is dependent upon factors such as the total number of stalls available on your lot, type of lot usage, and local regulations. 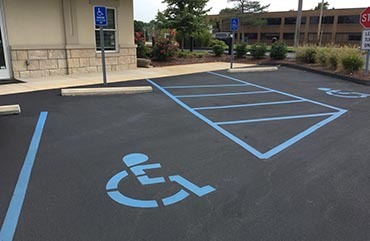 The style of stencil used and color of paint is determined by individual preference, company standards or local ordinances. 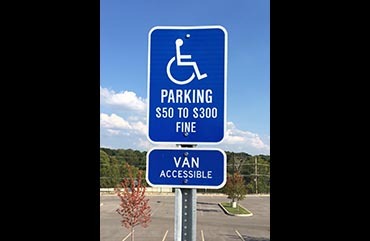 Additionally, we can supply and install the proper signage required for each parking stall.